Tim’s profile information and information about Aspire for Life has been included below. Well, I’m a lifelong foodie. I also enjoy an active lifestyle - hill walking, biking or getting out in my kayak. 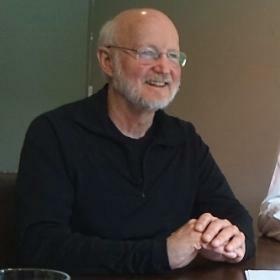 I’m now over sixty and find that at my age going to the gym a couple of days a week is an essential part of keeping life enjoyable, both at work and play. The good news is that if you learn to enjoy the basics such as simple, fresh, healthy food, and energising exercise, then you also can keep enjoying life’s little pleasures, such as a coffee and a chocolate, or a glass of wine without going downhill. I sincerely hope you will enjoy Aspire for Life, as it really is about enjoying life more fully. 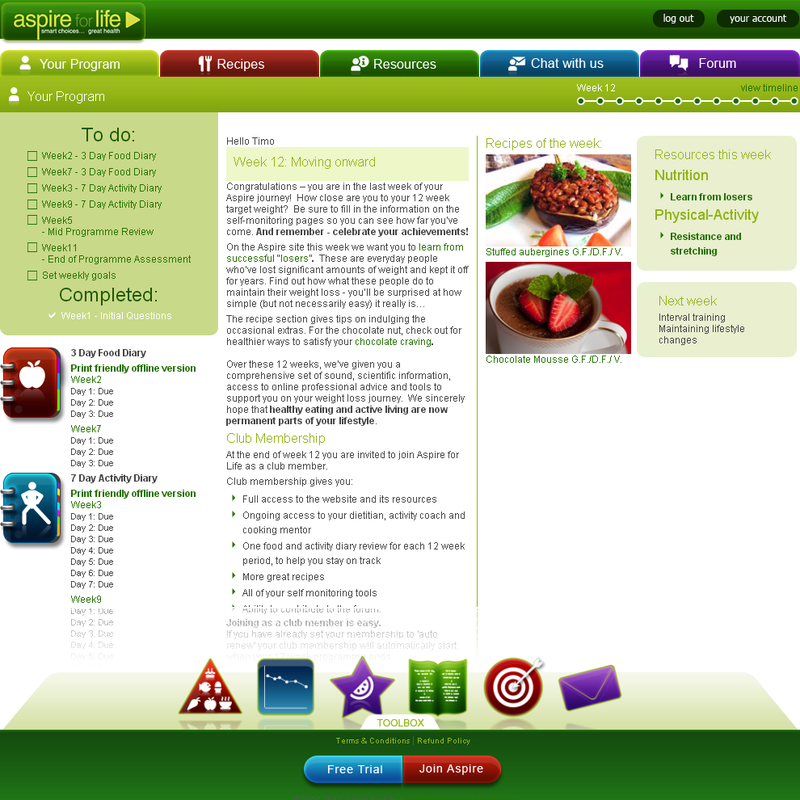 The Aspire for Life concept comes from the Crop & Food Research (now Plant & Food Research) six year "Lifestyle Foods for Energy Balance" research program (2004 - 2010). 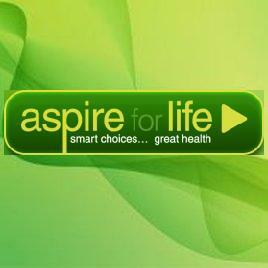 As the former Business Manager for the Energy Balance program, Aspire for Life has been part of my life from its inception in an academic trial, through the various pilot study evaluations, to the fully developed and scientifically tested member-ready program it now has become. 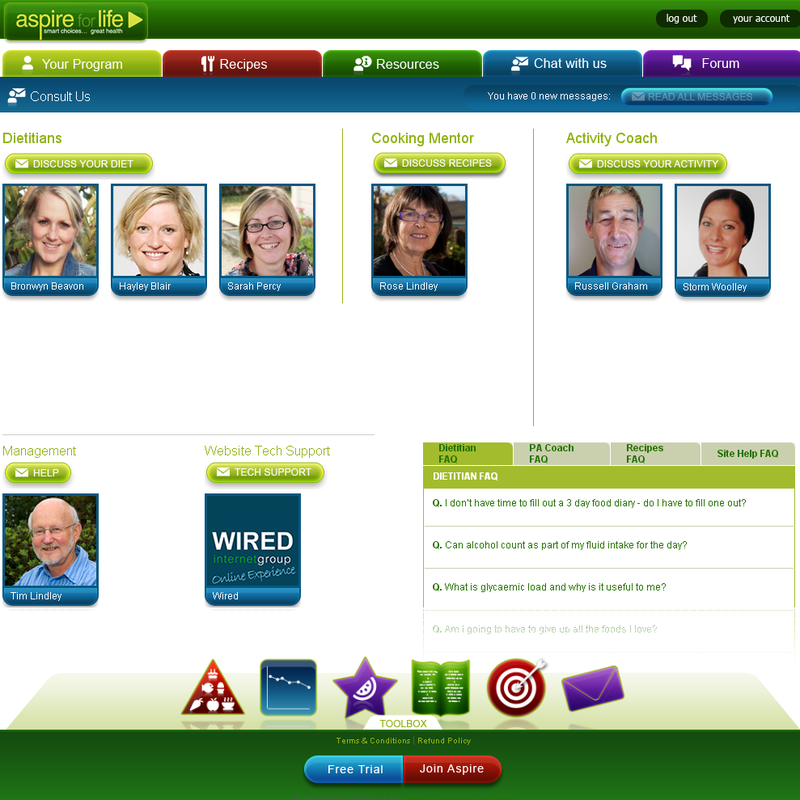 And now I find myself Director of Aspire for Life, fulfilling all of those research and development dreams by taking the program outside the Institute into the wide world where it can be accessed by anyone, anywhere, who has a computer. A lot of science went on in 'Foods for Energy Balance' including how to select grain and vegetable plants with slower digesting carbohydrates, how to put together food structures that, like pasta, deliver their energy slowly, and how to ensure that highly nutritious foods can be made more enjoyable. The research team invented and employed some very smart, unique tools to make their discoveries. 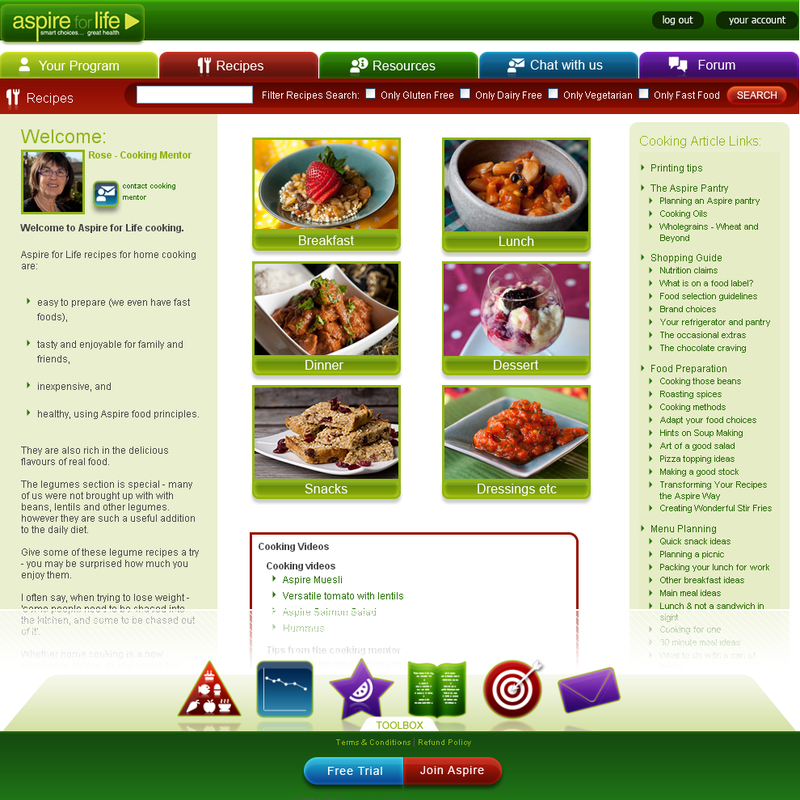 In building Aspire for Life we have strived to capture as much as possible of the knowledge they generated into our programs and recipes. One of the things that was clear from the start was that knowledge alone is not enough. To deliver Aspire for Life, I have the pleasure of working with remarkable people, including our high performance team of coaches and our IT partners at Wired Internet Group. That is very much what Aspire for Life is about. People. Indeed, all the way through the development process, the most exciting thing has been sharing the experience of how people on the program become more and more positive about the benefits they gain across all aspects of their lives. Some of their stories can be found in our background material. Aspire for Life worked well right from the start. With all the innovations we have put into it along the way, it is now leading-edge and extraordinarily effective for a very wide range of individuals, provided they engage fully with the program. 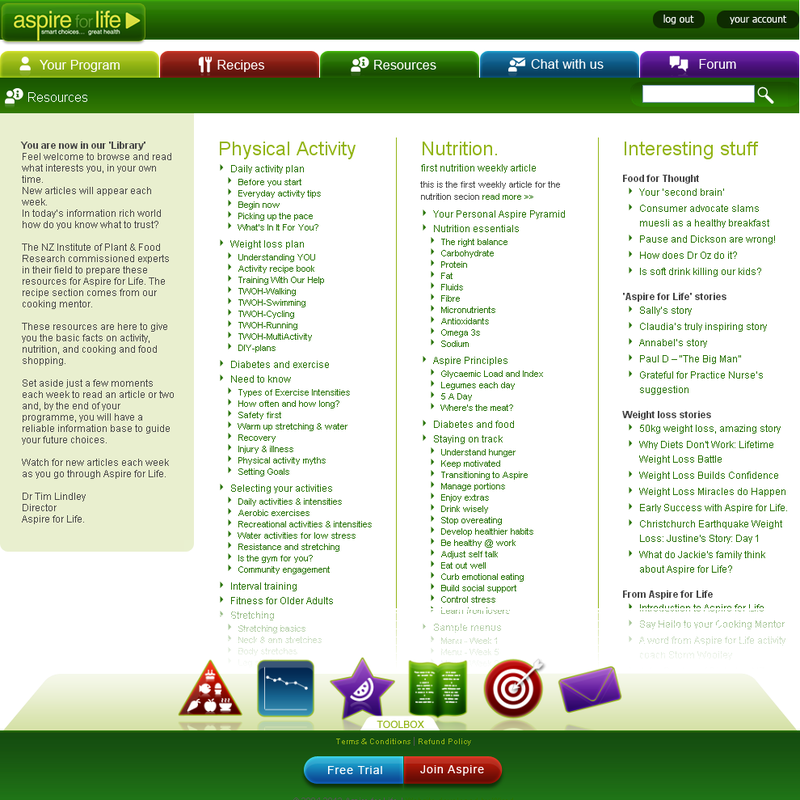 Find out more about Tim and Aspire for Life via the Aspire for Life website. Details below.